The price of homes purchased in most places in Mazatlan is quoted in dollars, therefore Americans and Canadians looking for homes have noticed that Real Estate has continued to go up in price. The cost of building materials and labor has increased every year. A villa or condo in Mazatlan is expensive or inexpensive, depending on where you are from in the United States or Canada, though Mazatlan is known for being more affordable with plenty to offer when comparing it to other beaches in Mexico. Electricity: The climate in Mazatlan for the majority of the year is an average of 75 degrees fahrenheit. There is really no need for air-conditioning. Though prices may vary depending on the size of your house, type of units, etc. In the months when most people come down here to stay electric bills run in an average of about $40USD or less. Phone: An average phone bill in Mexico is usually no more than $20USD a month. For those of you who continue to make long distance phone calls back home even a Vonage line can cost you as little as $20 USD a month. Water: I thought water bills were cheap in the States until I moved back to my hometown to discover that a water bill rarely runs over $4 to $5 USD for an entire family ($10 USD if you go through immense amounts of water daily). Property Taxes: For an average home the property tax can usually run for about $100 to $200 USD for the year. Food: Food, to your surprise will be very inexpensive in comparison to the States or Canada. Produce is usually very fresh and very cheap. When eating out, an amazing lobster and shrimp dinner can cost you as little as $11 to $14 USD. A simple thing as limes can cost you about 20 cents for about 8-10 limes. All you have to worry about now is not gaining that extra weight!! Gas (vehicle use): Gas is general is going up in price almost at a worldwide level, though even with the increase in prices we hold a descent price when compared to other countries. Gas currently stands at about 7 pesos per liter (70 cents per liter) while other countries are already increasing up to $1.50 per liter… On the other hand if you don’t want to worry about gas altogether, an average bus ride anywhere will cost you $0.50 to $0.80 cents, while a taxi or “pulmonia” charges $3 - $6 USD on average. It is important to keep in mind that the salaries in Mexico tend to be much lower than what foreigners are used to. A salary here can easily begin at $350 USD a month. It is only logical that in a place where incoming incomes are low, then the average price of living fits accordingly. In Mazatlan, each community is unique and will appeal to different tastes. Centro Historico, Malecon, Golden Zone, Marina and Cerritos beach, each offers a different quality and type of life style. Pricing in homes vary depending on the area of your choice as does the activities and cost of living in general. Mexico is the number # 1 most popular tourism destination for Americans with 14 million visitors last years. 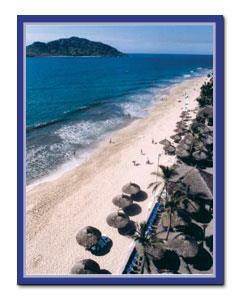 Mazatlan´s tourism increased 21.5% last year. Air Carriers recognized the increased demand and added 24% more flights. 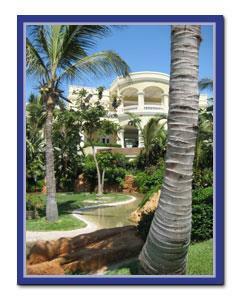 Mazatlan was tied for 2nd place on International Living´s list of best retirement options in Mexico. CNN Money rated Mazatlan as one of the top three up-and-coming destinations in México. Economists believe that bequests of this wealth will significantly boost the resources of the 76 million Baby Boomers. That means by the year 2052, an estimated $40.6 trillion will change hands as Baby Boomers and their parents pass on their accumulated assets to their heirs. The Canadian dollar is robust, and is on par with the U.S. dollar for the first time in 30 years….. and Canadians are buying. It is estimated that these ex-pats already own $30 Billion in Mexican real estate and will invest another $5 Billion in the next two years. Mexican real estate is incredibly popular with Northern Americans because it is affordable and easily accessible and also because Mexico itself is a low cost country in which to live. The large American baby boomers generation is nearing retirement and as they do so surge of interest from this generation into the property market in Mexico is expected. This means that an investor who buys into Mexico now and targets this particular group of people could profit substantially especially if they consider buying into or developing retirement, gated or exclusive communities. Second home ownership is the fastest growing sectors in the real estate industry. 70 million Americans and 9 million Canadians approaching the point in their lives when they have the time, financial means and lifestyle orientation to purchase second homes. The principle motivation for purchasing a second home is for personal use and enjoyment, but a significant number of baby boomers also view second home acquisition as means of safeguarding and enhancing their net worth. It´s a small world after all…..commuters, and those that work telecommute.